Wow, here we are less than 3 years into my Ask Me Monday, Facebook live series and have hit the 100th episode! I feel so grateful to all of you, worldwide, who share some of your time with me every week. Thank you, community! For this episode, I decided to lean into the 100 thing — you know how I like a theme! That meant looking at where knitting was at 100 years ago. During the show we talked about the advent of circular needles, and the WWII “Knit Your Bit” campaign that had knitters making garments for soldiers, especially socks. To that end, it seemed like the perfect time to talk socks, while giving the formula to enable knitting a sock of any size and using any weight yarn. We rounded out the episode giving away two, very generous prize packs — each value at around, you guessed it, $100 — from our friends at Knitter’s Pride/Knit Pro. No matter what yarn you’re working with, or size sock — from baby to grown man — you’re knitting the basic model for making on is GENERALLY the same. The difference is really only in the numbers. 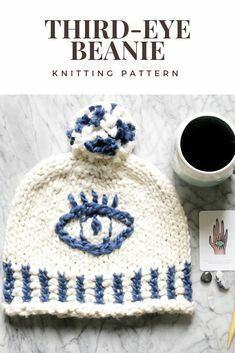 To that end, you’ll first need to knit a swatch with chosen yarn, needles, and stitch pattern to establish stitch and row gauge. You’ll need this info for the next step. 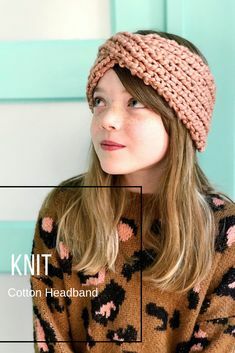 For the purposes of this tutorial, let’s say we’re using size U.S. 6/4 mm needles and sport-weight yarn, when knit in Stockinette Stitch, gives us a gauge of 4 stitches and 6 1/2 rows per inch. To get started, you have a couple of choices: either measure the foot circumference of the person you’re going to knit for or use the average sizing provided by Yarn Standards. I prefer the latter. That’s it! Keeping in mind that we may need to adjust the number one way or another to accommodate a stitch pattern, we know that 36 stitches is a good amount to cast on for our socks! Bonus: If we want to work in 2×2 ribbing, we’ll need a multiple of 4. If we want to work in 1×1 ribbing, we’ll need a multiple of 2. Either way, 36 means we’re golden. High-five! How to Knit Socks: Let’s get knitting! CO stitches to dpns (double-pointed needles). Divide evenly between needles; join, taking care not to twist. This means we’ll work 52 rounds of leg stitches in our desired stitch pattern. The heel flap is the only part of this sock that won’t be knit in-the-round. For this step, you’ll place half (the front/instep) stitches on waste yarn or spare needles, and the other half (the heel) on 1 needle. For our example, that means 18 heel stitches. I like a thick heel, so recommend knitting in the following manner, but you can technically use any stitch pattern that makes you happy. Row 1: *Slip (Sl)1, knit (k) 1; repeat from * to end. Row 2: Sl 1, purl (p) to end. Repeat those two rows until your heel flap is a square. If math makes your whole hear sing, then, by all means, do the multiplication to determine exactly how many rows that will be. If not though, do what I do, which is to just fold the heel from corner to corner. Once it’s even, you’ll know you have a square and your heel is complete! Row 1: Sl 1, k11, ssk (slip, slip, knit together through the back loop). Turn. Row 2: Sl 1, p5, p2tog. Turn. Row 3: Sl 1, k to 1 st before gap, ssk. Turn. Row 4: Sl 1, p to 1 st before gap, p2tog. Turn. Repeat Rows 3-4 until all heel stitches are worked. For this part of the sock, you’ll revert to working in rounds. Rnd 1: Place half of the heel stitches on free dpn (Needle 1), with the same dpn pick up stitches evenly along the first side of heel; place instep stitches on Needle 2; use Needle 3 to pick up stitches along the second side of heel and work remaining heel stitches. Rnd 3: Needle 1, work to last 3 sts, k2tog, k1; Needle 2, work straight (i.e. knit); Needle 3, k1, ssk, work to end. Rnd 4: Work in straight pattern stitch. Repeat Rnds 3-4 until you get back to your original, CO number of stitches. For our purposes, that would be 36 sts. Work every round in straight pattern stitch until foot is 2 1/2″ shorter than the desired length. Using the chart above, we want our foot to be 11″, so that means we’ll work rounds until the foot measures 8 1/2″. Rnd 1: Needle 1, k to last 3 sts, k2 tog, k1; Needle 2, k1, ssk, k to last 3 sts, k2tog, k1; Needle 3, k1, ssk, k to end. Repeat Rnds 1-2 until about 1/3 of the stitches, rounded to an even number, remain. For us, let’s say 12 sts. Cut yarn, leaving a long tail for grafting. Insert tapestry needle purlwise into the first stitch on FRONT needle. Pull tail through, but don’t let the stitch fall off. Insert tapestry needle knitwise into the first stitch on the BACK needle. Pull tail through, but don’t let the stitch fall off. Insert tapestry needle purlwise into the next stitch on the FRONT needle and pull the tail through, WITHOUT letting the stitch fall off knitting needle. Insert tapestry needle knitwise into the next stitch on the FRONT needle and pull the tail through, WITHOUT letting the stitch fall off knitting needle. Repeat those 4 steps until all stitches are grafted. Weave in ends. Now you have it! The basic formula to make any size sock with any type of yarn. Go on now, and spread your sock-y wings! Oh, and don’t forget to tag @vickiehowell with your sock photos. Know a friend who might dig this tutorial? Share it but pinning, tweeting, or posting. Thank you! Interested in a more intensive, step-by step tutorial? Take my Knit Maker 202: Socks Class on Creative Live! More of a Loom Knitter? Check out my loom knit ankle tutorial here. Knit-Fave is this so far due to current knit sock obsession but otherwise Christmas ideas are always a favorite! 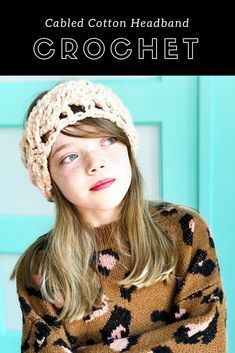 What a great tutorial-makes me want to knit some socks as soon as I finish my shawl. Thanks, Vickie, for all you do. All of The Knit Show episodes are my favorite, although I really appreciated this one for the history and the contributions knitters made during the war! Also, I have a yearning to try socks and this encourages me to do it! First socks,from commercial pattern, turned out too small despite adaptations. It was lots of work and must find someone who will appreciate them now. This looks like a more promising way to go for next try. Thanks for sharing your knowledge. I am a knitter and I have dedicated this year to socks. I can finally knit them but now I need to find out how to knit them to fit! Thanks for the 100 shows and especially this one about knitting Socks! Thanks so much, Vickie! Finally, finally, finally sock knitting (which I’ve avoided for decades!) is starting to emerge from the murky depths into the light! lol! I have a 9 mos old grandson. I want to make him tons of adorable baby socks! I can’t tell you how many times I’ve cast on & ripped out at the heel, which just never made sense to me! I love having this step-by-step (heehee) guide that will allow this to become a more organic process, esp for growing tootsies! Thank you!! I have knit socks before and I am getting ready to make some for my oldest grandson. I was reading your article and when you mentioned the WWII patriotic sock pattern and decided To mention that my mother was knitting socks for the Navy and Army during World War II while she was in school. The girls who knew how to knit could get out of gym by knitting socks, mittens, balaclavas and sweaters.